Are You Pushing the Gas Pedal and the Brake at the same time? 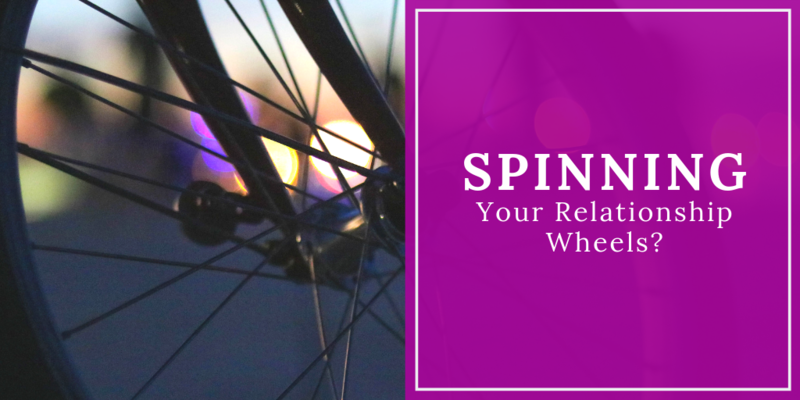 Ever feel like you’re just spinning your wheels – the years are slipping by, you’re not getting any younger, you have nothing like what you’d hoped for, and are getting nowhere in your relationship journey? What if expectation and attachment are the culprits? Let’s examine if they’re keeping you from moving forward. Expectation is when you have a future-centered belief. A strong belief in a positive and good result gives hope, and provides energy and motivation to move forward. It’s like pushing on the gas! “High expectations are the key to everything,” said Sam Walton. Yet, if high expectations are coupled with attachment to the outcome, you get fear of disappointment which becomes an anchor to your relationship yacht! Attachment is when your happiness depends on someone or something outside of yourself. When you’re attached to someone, (or the idea of someone) your fear of losing them repels them from you. It’s like putting on the brake! So, what’s the remedy for attachment? How do you keep yourself from getting attached when you want something so much? When it feels like your happiness is dependent on it? Now, before you lose interest because that sounds too woo-woo, please take a couple of minutes to really absorb the next few paragraphs. When you trust, you let go of control. Control is when you think you are making something happen, or not happen. Control is a double-edged sword. On one hand it feels like you are protecting yourself by being in control. On the other hand it is not allowing your inner desires to emerge to allow the natural course of your life to unfold. Everywhere you are pushing or pulling to “make” something happen, you are in the way of the Right thing happening. You can have a preference for your expectations, doing whatever you feel inspired and motivated to do to move those expectations forward, but unless you trust, it will be a painful process going nowhere. This “faith in a good outcome” allows you to own your happiness. You’ll be happy whether your expectations are fulfilled or not. When you don’t trust, you try to control the relationship and it backfires. Most unpleasant! You can’t control another person; you can only attract them to you and if they’re the right one, your relationship will move forward. When dating my husband, I had a terrible bout with attachment. I “knew” he was the one, but because it was early in the relationship, I also knew that rushing it would just put everything in jeopardy. Every time I felt the clutches of attachment squeezing the life out of my heart, I prayed, “This or something better.” I released my grip on my future husband and trusted the Universe to provide me with this beautiful man or someone else even better for me. I got instant relief from the pain. When you meet someone new and it feels right, keep trusting that if this is the one, he/she will be there. Keep being your happy self. If it’s right, your relationship will move forward. There’s a wonderful song by Bebe Rexha and Florida Georgia Line called “Meant To Be.” Here are the lyrics to the chorus. Having expectations of good and trusting that the Right One for you will be attracted to you, you’re another step closer to attracting and having the Love of Your Life. If you feel that you need some support in implementing this process of trusting and letting go of attachment, or with any other important aspects of attracting the Right Man for YOU, then click here for an application for a complimentary Love Breakthrough Session. Determine the #1 thing that is stopping you from having the exact Right Man for you. Identify the most powerful actions that will move you toward the relationship you want. Complete the consultation with the excitement of knowing EXACTLY what to do next to create the love you deeply desire! Simply click here to receive an application that will only take a couple of minutes to complete. The session will last approximately 60 minutes. I look forward to helping you attract the exact Right Man for you and build a loving relationship where the chemistry lasts a lifetime.